Can You Be Fired For Talking About Your Job On Social Media? The right of employees to communicate with other employees is protected by the National Labor Relations Act (NLRA). The NLRA protects an employee’s right to engage in union activity or to join with one or more co-workers to attempt to improve working conditions. 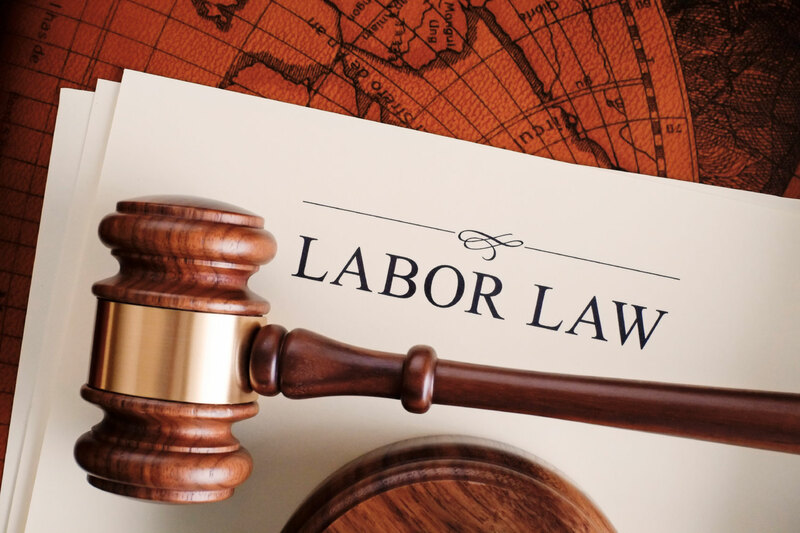 The law provides the right to discuss work issues and share information about pay, benefits, and working conditions with co-workers or with a union. The NLRA governs relationships between labor unions and employers and prohibits employers from interfering with labor organization rights. The NLRA also protects individual employees, whether or not those employees belong to a union. For example, if you believe that you aren’t being paid the same as other employees who are performing similar work, the NLRA provides the right to speak to your coworkers to determine if you have a valid complaint. In general, protected concerted activity requires two or more employees working together to improve working conditions, pay, benefits, or other work-related issues. A single employee may engage in protected concerted activity if he or she attempts to involve co-workers or acts on behalf of coworkers to improve working conditions. Protected concerted activity must involve seeking workplace improvements for the benefit of employees in addition to the employee who initiates the activity. What about social media – Can you be fired for posts about your job? Your right to communicate with coworkers in an effort to improve your workplace extends to certain communications on social media. Communications on social media about work-related conditions, salary, benefits, safety, or efforts to improve the workplace are considered a form of protected concerted activity under the NLRA. To be protected, the employee’s social media posts must relate to some group action, attempt to initiate or prepare for group action, or seek to bring a group complaint to the employer’s attention. Even profanity may be protected speech under the law. In a recent case, the NLRB determined that a worker was unlawfully fired by his employer for calling his supervisor an obscene name on social media. The agency found the worker’s speech was protected because the worker concluded the post by stating, “VOTE YES FOR THE UNION!!! !” The post was written during a contentious union election and it was also shown that profanity was routinely tolerated at the employee’s workplace. Not all communications between employees on social media are protected however. If an employee making offensive, reckless, derogatory, knowingly false, or negative statements about a supervisor or the employer or the employer’s products or service without any attempt to address working conditions, the employee’s speech is not protected. Threats or conduct involving violence, sabotage of company equipment, or disclosing trade secrets, would likely cause concerted activity to fall outside of the NLRA’s protection. If engaging in such activity, the employee could be fired or otherwise disciplined. The National Labor Relations Board (NLRB) is the agency that enforces the NLRA. In its investigations, the agency has found that some workplace policies and discipline relating to employees’ communications on social media violate the law. In other cases, the agency found that the communications did not constitute protected speech and the employers’ disciplinary actions did not violate the NLRA. The NLRA protects employees against discrimination by the employer for exercising their rights under the statute. An employee who suffers adverse treatment, discipline, or retaliation (such as loss of work hours, demotion, or termination) for discussing the terms of his or her employment may be entitled to reinstatement and back pay. If your employer took any employment action against you for discussing the terms and conditions of your employment with other employees or with your employer on behalf of other employees, you should contact an experienced employment lawyer to discuss your rights. Murphy Law Group focuses exclusively on employment law. Email us at murphy@phillyemploymentlawyer.com or call (267) 273-1054 for a free consultation.